StarHub To Retrench 300 Staff As Part Of $25M Restructuring - CEO Cites "Intense Local Competition"
StarHub announced yesterday that “recognising the inevitable pressures from intense local competition and adverse industry trends”, it initiated an operational efficiency programme which concluded that a “reduction of workforce is required”. 300 out of 2,500 of its full-time employees will be affected, and the reduction will be “primarily affecting non-customer facing positions throughout the company”. 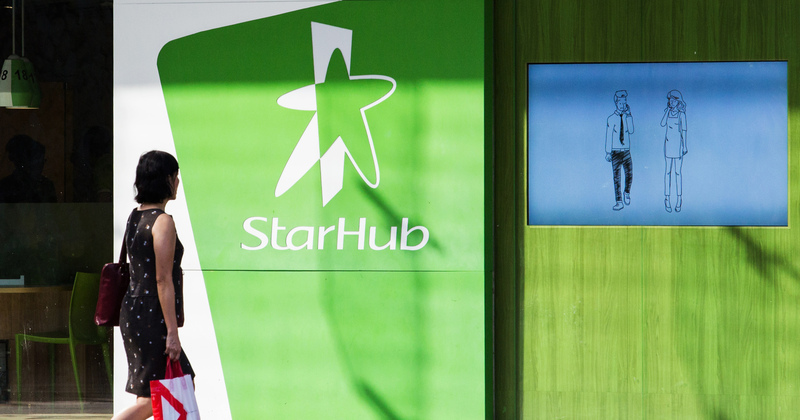 “On-going natural attrition and tighter management of contractor roles will result in additional roles being made redundant,” StarHub said in a statement. It also added that it will notify affected employees, subject to compliance with statutory reporting and regulatory requirements, “no later than the end of October”. “The intense competitive ferocity right across the market, new entrants, lower voice revenues, thinning margins for fixed broadband services, high content costs for Pay TV operations and high market penetration for mobile and fixed services, has necessitated efficiency optimisation initiatives as part of the strategic transformation plan,” said StarHub’s CEO Mr Peter Kaliaropoulos (Mr Peter K). The restructuring would cost the telco approximately S$25 million, and includes “funding to support outplacement, training and coaching will be incurred”. StarHub also added that it will “work closely” with affiliated companies, the Singapore Industrial and Services Employees’ Union (SISEU), NTUC’s e2i (Employment and Employability Institute) and government agencies like Workforce Singapore to “identify suitable roles for impacted employees”. “We wish to recognise the extensive contribution that our impacted employees have made to the company’s past development and growth. Such decisions are never taken lightly,” Mr Peter K added. The redundancies are not an individual performance issue but one of strategic realignment of StarHub. We have been extremely fortunate to have many competent people in our team but some positions are not sustainable given the current industry pressures. “The strategic transformation review is aimed at simplifying our company structure, simplifying product offerings and customer touch points with the ultimate aim to be more agile, to deliver better customer experience and to drive sustainable growth,” he concluded. StarHub will also target savings in “procurement activities, leasing costs, rationalising spending in network and systems repairs and maintenance and overall sales and distribution expenses”, and resources will be “directed to fund growth opportunities” instead. Some aspects that StarHub will continue to invest in recently formed cyber-security company (Ensign InfoSecurity) and digitalisation initiatives for both consumers and enterprise customers. The strategic transformation programme is expected to bring StarHub S$210 million in savings over a three-year period from 2019. Earlier in February, StarHub reported that its net profit fell to S$14.1 million for the 3 months to 31 Dec, 2017. This marked a 74% drop on the same period in the previous year, “as a rise in expenses more than wiped out the modest 2.2% uptick in total revenue, which stood at S$649 million”. The telco cited that the reason for the drop was due to a “one-off provision for staff benefits” and also operating leases from contractual costs related to the cable network.